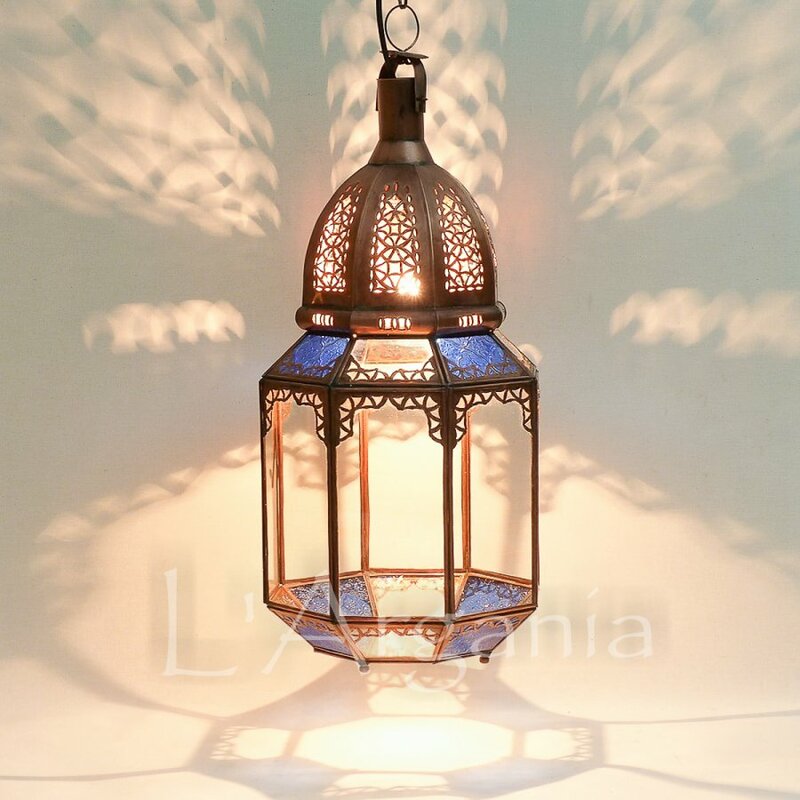 It is hand made in Morocco, the metal is galvanized with copper and it has clear and small pieces of blue glass. The base is in clear glass allowing lots of light to come from the lamp. For chain, ceiling rose and light fitting see chapter "other".